The National Catalysis Conference series, the biennial scientific meetings enriched with international contributions, have been organized by the Catalysis Society of Turkey since 2007. Based upon precious feedbacks and reflections reached us by now, The 6th National Catalysis Conference (NCC6) has been promoted as NCC6-The 6th Catalysis Conference which will be held in BURSA – Turkey on April 27-30, 2016 with the same activity program. 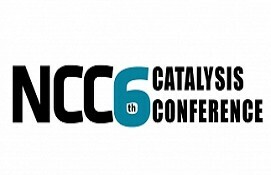 NCC6-The 6th Catalysis Conference welcomes contributions from a broad variety of fields associated with catalysis including (but not limited to) petrochemical refining, renewable energy applications, environmental protection, electrocatalysis, biocatalysis, fuel cells, novel/nano-materials for catalytic applications and etc. The conference will comprise the oral and poster presentations in English. Since the book of abstracts will be published in English, Turkish presenters are requested to submit their abstracts in English. We believe that, this new format of the conference will help to increase the number of participants of Turkish academia in compliance with the new regulation of The Turkish High Education Council as well as the international participants. 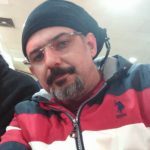 Starting from the beginning, since English being chosen as the conference language and the participation of the high level international scientists attendance will contribute a lot, as shifting towards the new international format of the conference. At this very moment, the most distinctive identity of this progress towards the international conference is the requirement to establish an exclusive Scientific Committee with nine exclusive foreign academic members. On this occasion, it will be our pleasure to kindly invite you to join the NCC6-The 6th Catalysis Conference.